Brighten up your day with this invigorating blend of Soil Association Certified Organic Apple, Marigold petals, Lemongrass and Orange peel spiced up with Organic Ginger, Cardamom fruit, Coriander fruit and Cinnamon. The aromatic natural flavours of this herbal tea will be sure to perk up even the dreariest of days. 20 sachets of bagged tea. 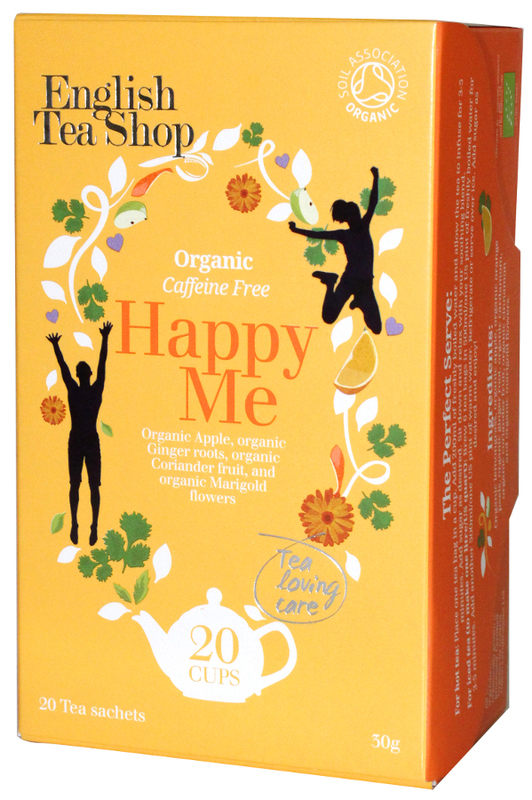 The English Tea Shop Organic Happy Me Tea - 20 Bags - Sachets product ethics are indicated below. To learn more about these product ethics and to see related products, follow the links below. 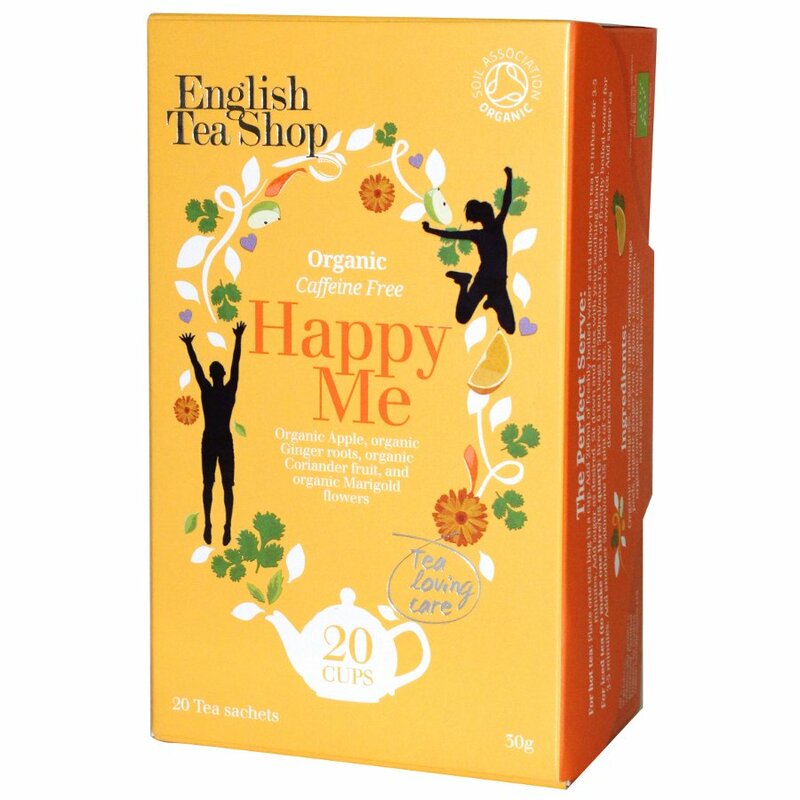 There are currently no questions to display about English Tea Shop Organic Happy Me Tea - 20 Bags - Sachets.